Activist and writer Jacob Tobia is 27, genderqueer and here to blow up the gender binary with Sissy: A Coming-of-Gender Story. It's a funny, heartbreaking and earnest account of Tobia's early and young adult life, as well as a smart and accessible entry point for readers interested in learning more about transgender experiences. Tobia, who uses they/their/them pronouns, grew up in a relatively conservative and conventional family in Raleigh, N.C. Assigned male at birth, Tobia was a sensitive, creative and "glitter-obsessed" child who found a kind of freedom with their friend Katie, whose mother let them play dress-up and raid her makeup collection with impunity. Relentlessly bullied for their femininity, Tobia learned to suppress it--and, as a result, became profoundly depressed and even suicidal, which they note is not unusual for a trans child. "I'm not sharing this with you to be dramatic," Tobia writes of their suicidal ideations. "I'm sharing this with you because I want the world to understand that depriving a child of the ability to express their gender authentically is life-threatening." While Tobia is candid about difficult experiences like these, Sissy's tone is more entertaining and playful than it is bleak. Aided by plentiful, chatty footnotes, Tobia charts the ongoing evolution of their genderqueer identity with open-hearted vulnerability and a razor-sharp wit. Shaping that evolution is Tobia's complicated relationship with the church, their experiences of tokenization at Duke University and their recent education in navigating the professional world as a gender non-conforming person. In the earlier passage describing their childhood suicidality, Tobia emphasizes that the most important reason to share this story is because it's true, and "things that are true need to be said." If Sissy has a guiding ethos, that's it: truth-telling. Tobia's story is not representative of some universal transgender experience, but a testament to, and an affirmation of, the diversity of truths that queer stories contain. Still, it pointedly highlights the things that many queer people have in common, such as the experience of familial, political and professional alienation. Though Tobia has an impressive academic track record and is obviously intellectually ambitious, Sissy is free from the (important, but complex) theory and analysis that can sometimes weigh down conversations about gender identity and expression. 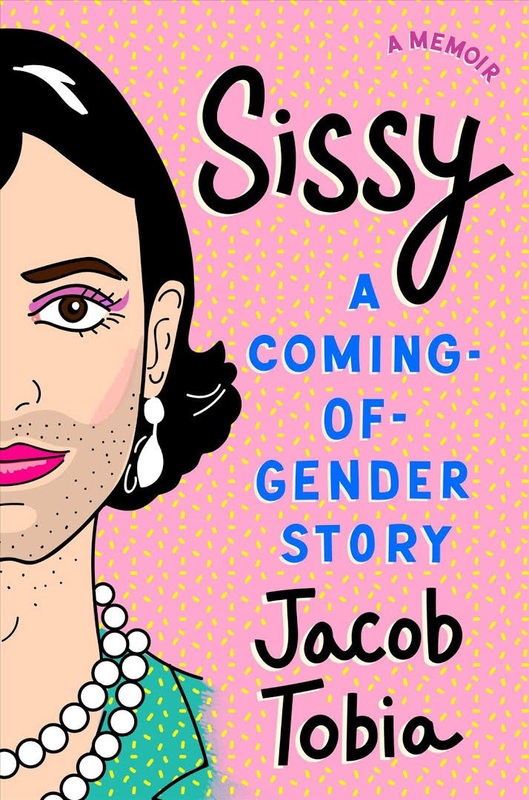 While everyone has something to learn from Sissy, readers new to stories and identities like Tobia's will find this memoir an especially welcoming introduction to the quite simple but still revolutionary notion that there are more than two genders. --Hannah Calkins, writer and editor in Washington, D.C. Shelf Talker: The often painful, frequently funny and always deeply introspective story of how a young writer and activist came to embrace their genderqueer identity.